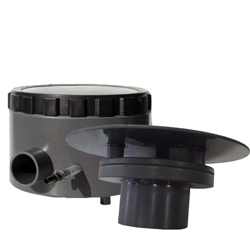 Aquadyne Bottom Drains Aquadyne Rhino Drains set the standard for quality and dependability. They are easy to install and will provide a lifetime of worry free service. Offering over the liner and through liner drains.